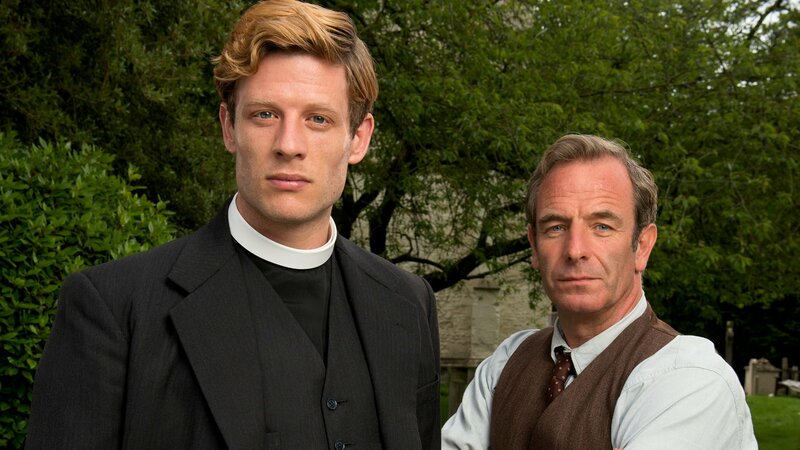 James Norton puts on his priest’s collar and meets up once more with and Robson Green, in his rumpled raincoat, for a new season of Grantchester. The 1950s crime fighters Reverend Sidney Chambers and Inspector Geordie Keating are back on ITV tonight for a second series. Don’t miss Camden’s Lincoln’s Inn Gate dressed as the 1950s and playing a prison. The new season’s cases include a shocking charge of sexual assault that turns into a homicide investigation implicating a pillar of the community; an apparent suicide from the college spire that takes on Cold War overtones: a confession to murder in which the alleged victim is still very much alive; a haunted stable with links to the Holocaust and more.